Based on the design of the Vubu, the Pungwe creeker is the fierce little sister, equally equipped with the same performance and feature requirements designer Celliers Kruger required from its larger sibling. The Pungwe thrives on technical and lower volume creeks. The boat has more rocker in comparison to length than the Vubu and is slightly more agile. This manoeuvrability allows paddlers to react quickly and make last minute adjustments such as pivoting into micro eddies or avoiding crocodiles. While not quite as fast as its big brother, the Pungwe is still quick through flat-water and tracks well, making it easy to stay on line. The shape of the bow and volume help it transition through eddy lines and aerated water without spinning out or slowing down. The added rocker in the Pungwe also has the added benefit of making it boof more easily, giving paddlers confidence on steep creeks and waterfalls. The peaked front and back decks on the boat help it resurface quickly and evenly after drops and the stern is designed to propel the kayak forward out of holes. The creeker also has substantial secondary stability that is vital for confidence when running steep rapids where flipping upside down isn’t ideal. If you do capsize, the Pungwe is easy and fast to roll, minimising time upside down. 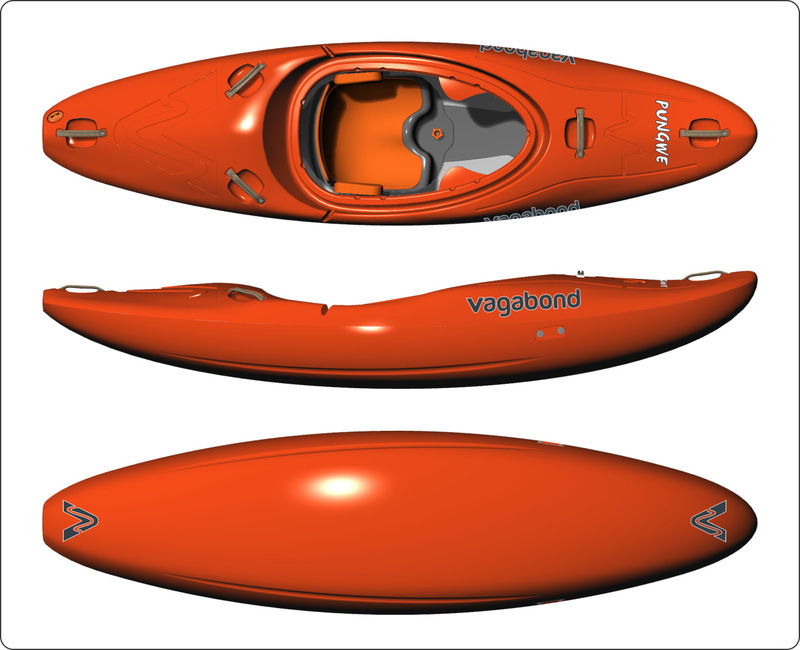 While based on the design of the Vubu, the Pungwe has its own virtues and is an ideal creeker for smaller paddlers or paddlers that want a responsive boat for technical low volume creeks.